You've worked hard to be where you are today! Now its time to have some FUN! We start with a free in-person consultation, where we discuss the specific look and feel you want for your portraits. We discuss wardrobe, hair and make up, and get to know each other a little bit. All your questions will be answered, including cost of products and how you want your portraits displayed, and you will leave the studio bursting with excitement! You should arrive on the day of your shoot ready to be treated like the star you are. This day is all about YOU. Don't know how to pose? Not sure what your best angle is? Is there something you generally don't like about pictures of you? PERFECT...that's why we're here! We'll work with you and guide you through every aspect of your shoot. You will, without a doubt, be blown away by your images. And even the most reluctant of models will have SO MUCH FUN!! After your shoot, we'll prepare a slideshow for you to view on the big screen. Come alone if you're looking to surprise someone, or bring your circle to help choose favorites. Your images will come printed on the finest photographic papers which have a life span of at least 200 years and will be enjoyed for generations, and each image you purchase comes with complimentary social media-optimized files for sharing. At no extra cost! We work extremely hard to make your experience something that you will never forget. This is a special opportunity and a rare treat, and we take that very seriously. Let's. Celebrate. You. Professional hair and make up come with every session! You can opt for a natural beauty look, or maybe try something more Avant-Garde. The choice is yours. These sessions are also perfect for the person in your family who wants to have the "Modeling Experience" in a low-pressure, highly supportive, and well-supervised environment. Taryn delivered in a BIG way during her high-fashion glamorous portrait session in the beautiful downtown Littleton studio of Blue Talon Photography. Michelle is effortlessly amazing, and shows that you don't have to go over-the-top to get a supremely beautiful portrait. Simple black dress, white wall, and natural make-up combined with her grace and elegance are the perfect recipe for a glamorous portrait. Sometimes the simplest touches really allow the essence of you to shine in your portrait. A classic chignon, simple eye, neutral lip, all set off by an amazing dress...beauty portraits at their best...anything but basic! LillyAnne lit up the studio during her beauty portrait session. 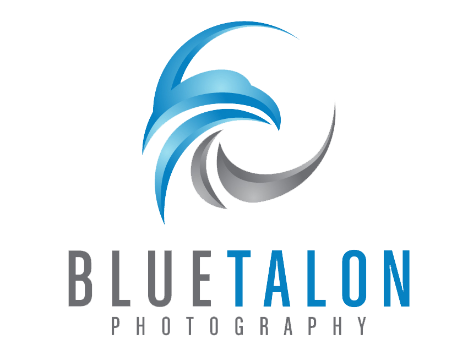 A Blue Talon Photography superstar, we've had the privilege of photographing her on multiple occasions. Sanaz should teach classes on glamour...she's just got it. The hardest part about picking images from her beauty portrait session? Every one was a winner! Sierra designs beautiful, intricate headpieces for major fashion shows. The day she came to our Littleton photography studio for a beauty portrait session was like a dream-come-true. Everything about this woman says beauty and strength. She brought life and laughter to our Littleton studio during her beauty portrait session. This woman. She is an incredibly gifted fashion designer, and just as extraordinary in front of the camera. Fashion photography meets glamorous studio photography in such a beautiful way! Make this experience all about YOU. Black tutu? Bring it! Blingy corset? Yes, please! There's only one rule...you have to have FUN! And you will. Nikki brought the fire for her portrait session in our boutique studio in Downtown Littleton. Beauty, confidence, and dramatic lighting combine in this gorgeously glamorous photograph. How many opportunities do we get for professional hair and makeup, followed by a fun-filled photo shoot? Not nearly enough! This is your moment to shine!! Portrait photography, but elevated. Don't be afraid to move out of your comfort zone...the results can, and usually are, absolutely stunning.